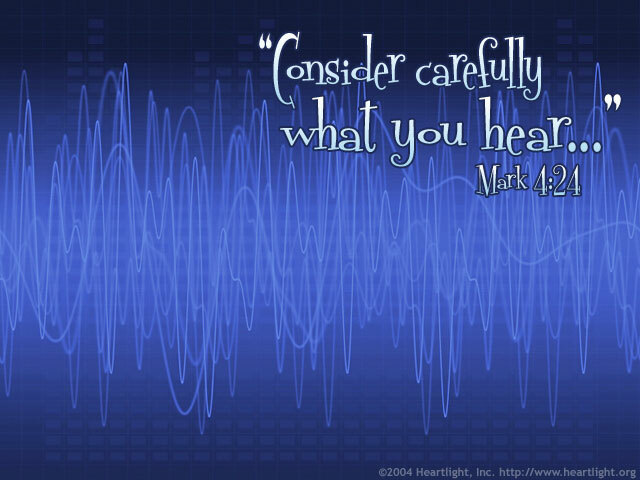 "O be careful little ears what you hear ... for the Father up above is looking down in love, so be careful little ears what you hear." God doesn't want to just be heard aloud; he wants his Word to enter our systems and change our lives. The more we receive the blessing of God's words, the more it should change us. If it doesn't, the problem isn't with the message but with the listener! Please open my eyes, my ears, my heart, and my mind, dear Father, so that I can appropriate your message into my life. Bless me, please, dear Father, so that what I hear in your word is seen in my life. In Jesus' precious name I pray. Amen.